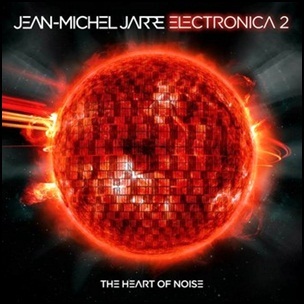 On May 6, 2016, “Columbia” label released “Electronica 2: The Heart of Noise”, the eighteenth Jean Michel Jarre studio album. It was recorded 2011-2016, and was produced by Jean Michel Jarre.The second of a two-part album (the first being Electronica 1: The Time Machine) is collaboration with other musicians includes Pet Shop Boys, Rone, Julia Holter, Primal Scream, Gary Numan, Hans Zimmer, Edward Snowden, Peaches, Sébastien Tellier, The Orb, Siriusmo, Yello, Jeff Mills, Cyndi Lauper and Christophe. Previous PostOn May 6, 2015.Next PostIn May 1970.